A first decision is whether the person who has died is to be buried or cremated. They may have expressed a preference. For some the association of cremation is with the purifying and transformational properties of fire; for others it is seen to be less ecological. Having the ashes afterwards can also feel important, with a chance for another, personal ceremony when scattering or interring the ashes. For others, burial feels comforting and the completion of a natural cycle, being enfolded back into the earth, into Mother Nature. The choice is often emotional – one feels better than the other. For others there may be a family tradition. Many churchyards are now full, but there are lovely alternatives to these and, in Devon, there are burial choices no more expensive than cremation. Cremation is the choice of over 70% of us. If choosing burial there are 4 main options: burial in a churchyard; in a town cemetery; in a natural or woodland burial ground; on private land. Woodland and natural burial sites began about 20 years ago and now there are over 250 across the UK. Places of beauty and tranquillity, most are woodland, for example Rattery and Yealmpton, some are meadows, like Sharpham Meadow. Many have relatively young trees still and many have lovely views. Burials on private land are also permissible (see the helpsheet at the end of this page). 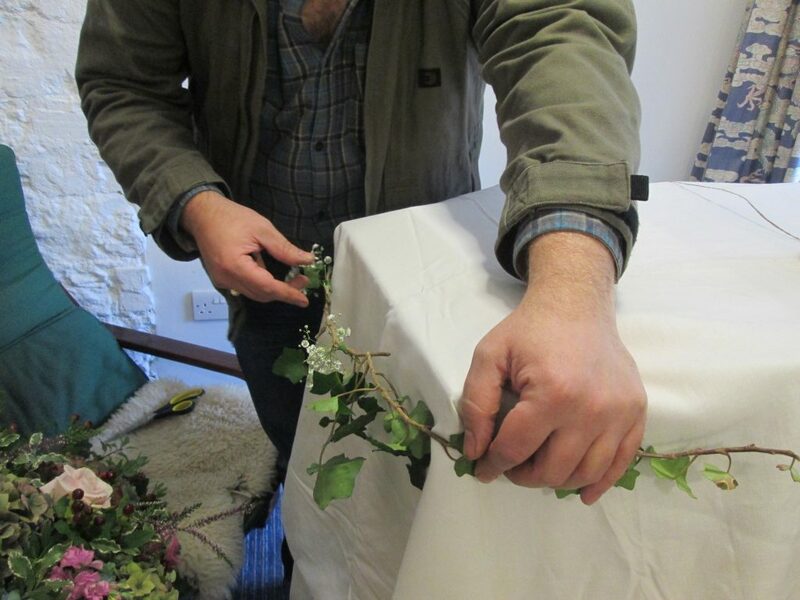 A green burial or green funeral is often part of a funeral where family and friends take more control of proceedings and the atmosphere is informal. Over a third of the funerals we undertake are green burials. The choices are likely to include a more ecological choice of coffin, such as willow or cardboard, or perhaps a locally made felt shroud,and less formal transport, for example a silver Ford Galaxy or Black and White VW. Only a flat plaque is allowed instead of a big headstone, and the body must not be embalmed. We have been organising and pioneering Green Funerals for many years and are founder members of the Association of Green Funeral Directors, and recommended by the Natural Death Centre. There are 12 in Devon and vary in price from £500 to £1400 for a single plot burial. You are also allowed to make a burial on private land. See the helpsheet below. We undertake cremations at Torquay Crematorium, Exeter Crematorium, Efford Crematorium and Weston Mill Crematorium in Plymouth and East Devon crematorium. Cremation is the choice of over 70% of us. Ceremonies at the crematorium tend to be 20 – 30 minutes. You can book a double time if this is not enough, or have the main ceremony somewhere else, for example in our ceremony hall, at home, in a village or community hall, in a church or anywhere that will host it. A few special touches can take away the worry of a crematorium funeral being impersonal. And you can have an individual, non-religious ceremony if you choose, something beautiful and contemporary. 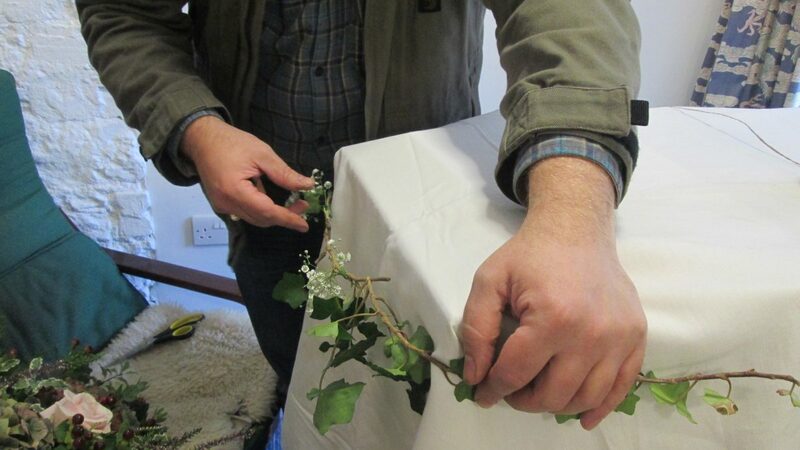 Ask for a green fuse celebrant. Having the ashes to scatter or inter after the funeral can also feel important, with a chance for an intimate family moment or a larger gathering when the grief is not quite so raw. Ashes can be scattered or interred, or how about the idea of a Viking ship to take them out, the nearest we are allowed to a Viking burial. There is a growing trend towards “direct cremation”. In this case we arrange the cremation for you and it takes place with no mourners present. Then you can have a funeral ceremony afterwards, in a place of your choice, with the ashes present. This can give you more choice and save money. Do I get the right ashes? We have made a 10 minute video showing what happens behind the scenes at the crematorium because so many people are unsure about this and whether they get the right ashes. This video shows some footage of an actual cremation, so please be aware if you think you may find that upsetting. You may not know: cremated remains have normally been ground down in a machine into the familiar gritty and powdery ashes. But you can also ask for the bone to be returned as it comes out of the cremator – usually in small, fragile pieces. Also, if you want, you can ask to witness the coffin being “charged” into the cremator. Every parishioner has the right to a churchyard burial in their parish (if the cemetery is still open), even if they are not religious. These tend to be quiet oases in a busy city or town, or a beautiful rural churchyard setting. Usually on the edge of town, these are run by the local authority. It’s best to go and see your local one. They differ greatly in price, for example £500 in Totnes, £1500 in Exeter for a single, owned prepared grave. A headstone can cost between £500 and £2500. You can reduce the cost by not buying the rights to a grave, in which case you cannot personalise it with a headstone or other memorial, or you can buy a shorter lease and the grave could be reused in the future.